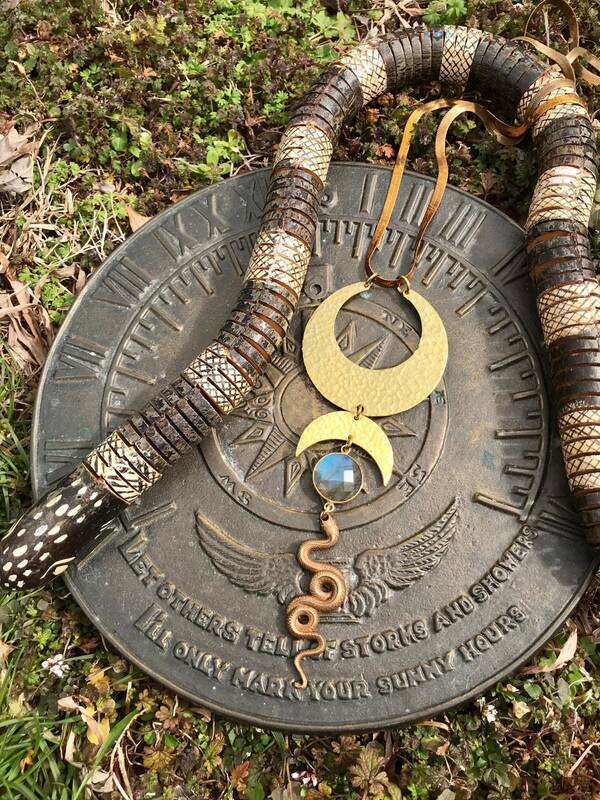 The Snake Priestess Necklace is a statement piece emitting strength and beauty, and is perfect for the modern goddess who sees the serpent as a spirit animal or symbol of creative life force. 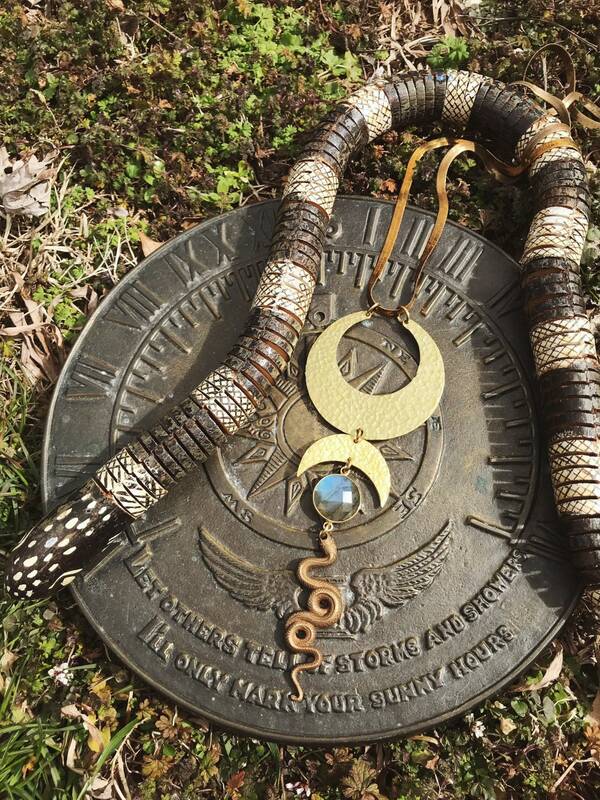 The piece features a labradorite stone which provides increased intuition and is said to promote clairvoyance. 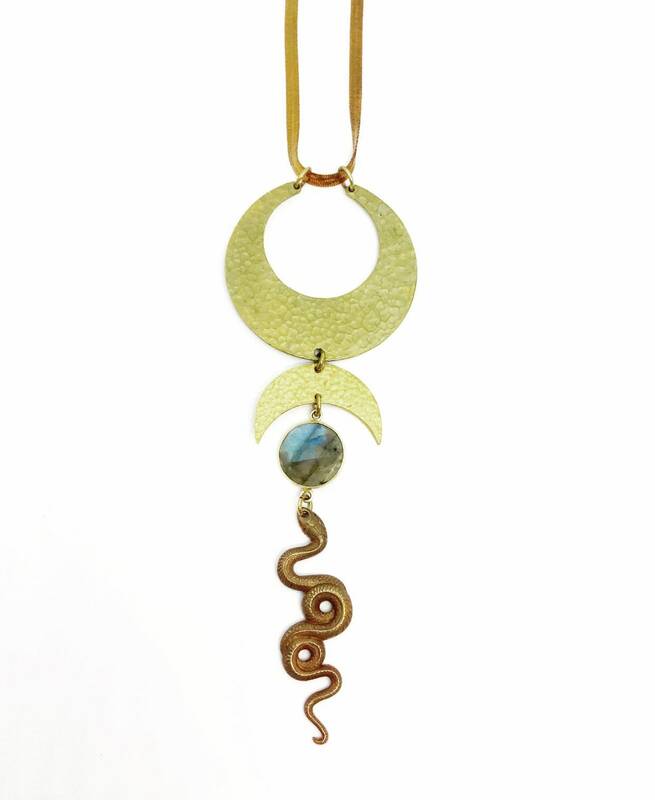 The pendant is made from hammered brass crescents and a vintage snake charm. 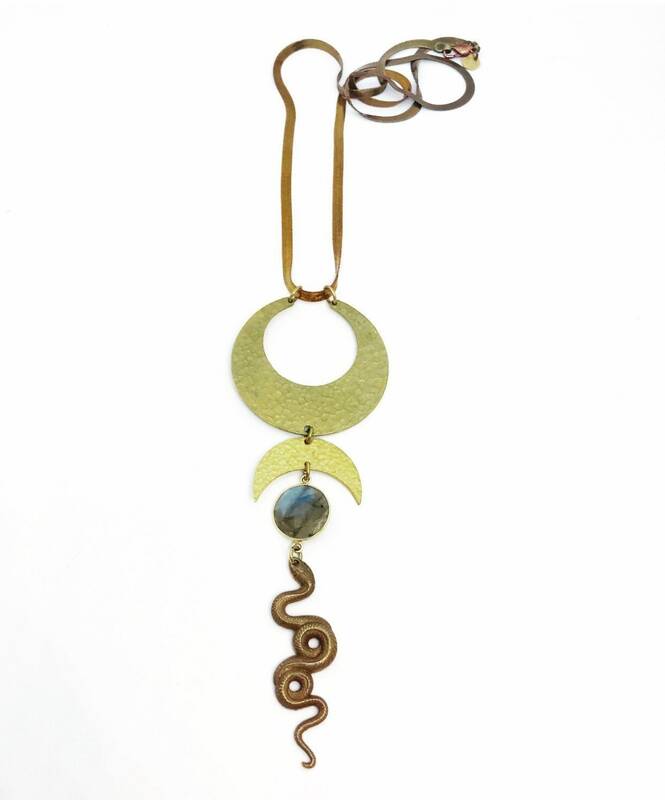 The pendant measures 6 inches long and hangs from a vintage 28 inch brass herringbone chain.